Ned Flanders is about to lose another wife. 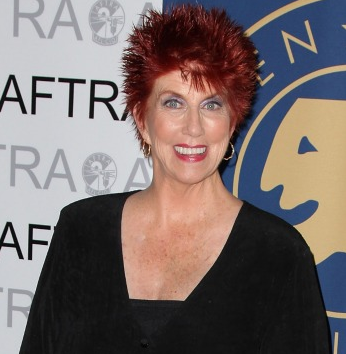 Actress Marcia Wallace, the voice of Simpsons regular Edna Krabappel, has died aged 70 from complications related to breast cancer. Wallace, who got her start with improv and off-Broadway shows, first caught mainstream attention in The Bob Newhart Show, as receptionist Carol Kester. She's been playing Krabappel since 1990, and earned an Emmy Award for her portrayal. She was first diagnosed with breast cancer in 1985, and has been a prominent advocate for early cancer detection ever since. Series showrunner Al Jean confirmed that Edna Krabappel would retire from The Simpsons, without saying precisely how it would be done. Krabappel is currently married to Ned Flanders, who lost his first wife in a t-shirt cannon accident at the Springfield Speedway. Jean also confirmed that, though there is a "potential storyline" in which a Springfield character would pass away, it was never intended to be Marcia's Edna Krabappel. "Marcia's passing is unrelated," he went on to say, "and a terrible loss for all who had the pleasure of knowing her."